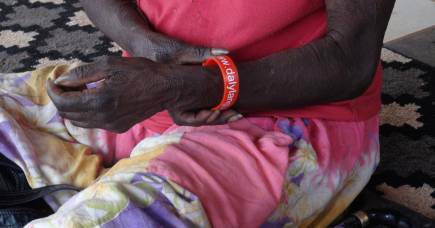 Content warning: Indigenous and Torres Strait Islander Australians are advised that this web page contains the names and/or images of people now deceased. 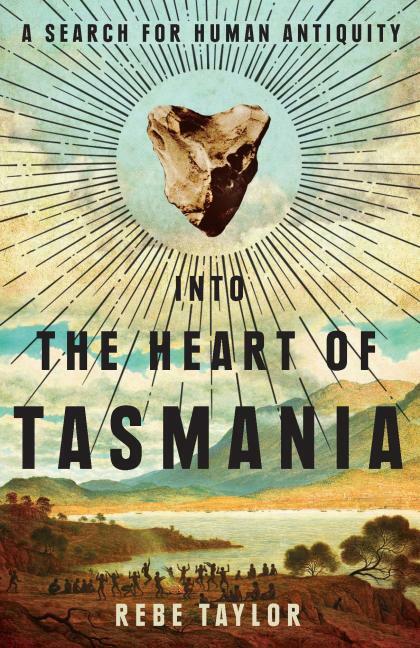 In her new book, Into the Heart of Tasmania: A Search for Human Antiquity, historian Dr Rebe Taylor tells the story of an eccentric English amateur geologist who travelled to Tasmania on a quixotic quest to find Stone Age tools akin to an imagined race of early humans. Instead, Ernest Westlake blundered into living Tasmanian Aboriginal communities that had been dismissed as extinct by wider Australia. Westlake was obsessed by the notion that the flint rocks he had discovered in France on a bicycle holiday were evidence of a much older human culture, and that similar rocks in Tasmania were a chance to prove it. But these rocks, known as eoliths, were already being dismissed by experts are merely natural forms. Undaunted, Westlake sailed out to Tasmania with a tent, bicycle and 40 tins of food. He would come back with over 13,000 Aboriginal stone tools and a forgotten record of a forgotten people. Dr Taylor spent almost 20 years exploring Westlake’s papers in Oxford and, with Associate Professor Gavan McCarthy and Mike Jones, digitised the entire collection in an award-winning archive guide, Stories in Stone. The guide means readers can explore many of the book’s primary sources themselves. 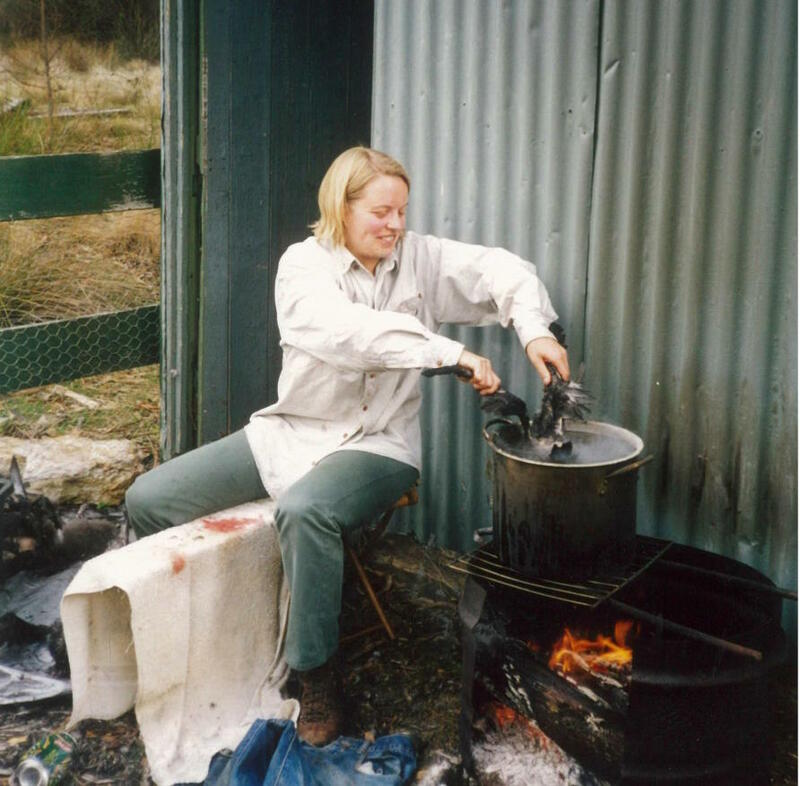 Dr Taylor’s fascination with Tasmanian Aboriginal history goes back her childhood and family holidays on Kangaroo Island. It was there that she first heard stories of the Aboriginal women kidnapped from Tasmania and brought to live on the island with the rough sealers and whalers who worked the beaches there from the early 1800s to the 1830s. She would eventually tell the remarkable and little-known story of their descendants in her 2002 (and 2008) book Unearthed. In this extract below from the just-released Into the Heart of Tasmania, Westlake arrives in a teeming Melbourne that he describes as a “miniature London.” Here he receives an early rebuff from local scientists. Thankfully, he is not put off. The ‘SS Marama was palatial’. He felt an immediate affection for the ‘dirt and roughness’ of the older single-class Afric. There had been cockroaches in his bed there, ‘but not large ones’. On ‘Marama the seats are soft, the bread is perfection, the milk is from the cow … Only the passengers are a little rowdy as befits men returning from the annual races’ – the Melbourne Cup had just ended. He also found ‘the same science’ as in England, ‘or even better’. 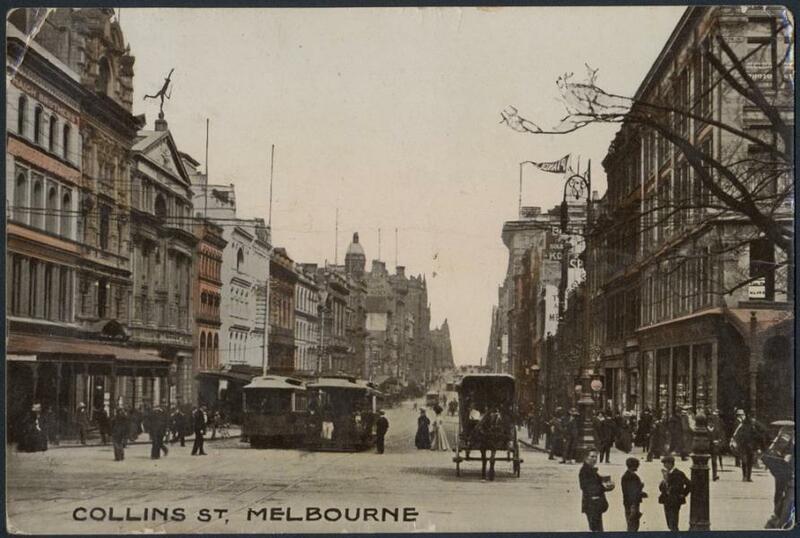 On his second day in Melbourne, Westlake walked up to the National Museum on the corner of Russell and La Trobe streets and entered McCoy Hall. 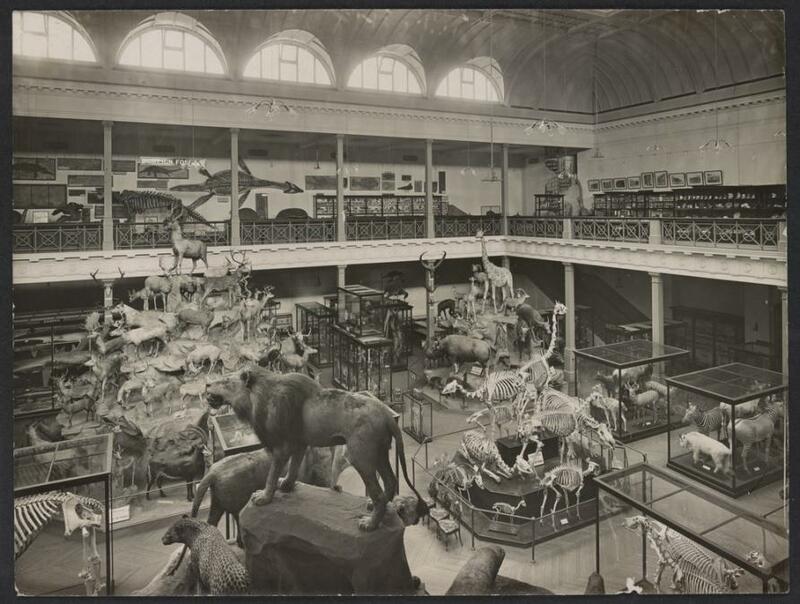 A totem pole of considerable proportions presided over a dense zoo of animals, both skeletal and taxidermal in form, populating several small mountains and a range of glass cabinets. As arranged, Westlake met with the Museum’s Director and the Professor of Natural History at the University of Melbourne, Baldwin Spencer, who showed him a collection of Aboriginal stone implements. Westlake thought some were the ‘very image’ of eoliths he had found in France. ‘It was very interesting to talk to him,’ Westlake wrote later of Spencer, ‘because he is one of the very few scientists who have seen the Blacks making and using stone tools.’ Westlake had gone to the Public Library the previous day and read Spencer’s 1904 book, The Northern Tribes of Central Australia. Like Spencer’s 1899 book, The Native Tribes of Central Australia, this work was co-written with Francis James Gillen, the Alice Springs postmaster with whom he had travelled in 1896 and 1901-02 to visit Aboriginal communities. Their work formed a landmark in anthropological publishing for its detailed accounts and wealth of photographs of daily and ceremonial life. Spencer and Gillen’s books also set an important precedent for Westlake before he arrived in Tasmania, both for what he assumed was authentically Aboriginal – people still in ‘their savage state’ – and what he believed a professional anthropologist to be – someone who studied such people. 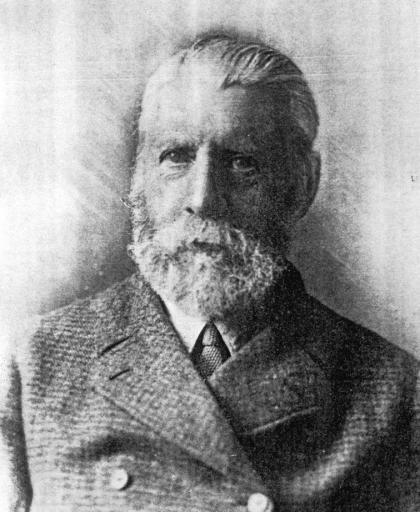 From the outset, Westlake believed he would never meet that standard in either regard; he was foremost a geologist without a formal degree and the Tasmanian Aborigines were extinct. Westlake had first met Spencer the previous day at his home. He had also gone to the home of public engineer and stone tool collector AS Kenyon. Westlake accurately deduced they were ‘the two chief stone men’ in Victoria. Kenyon and Spencer, with fellow collector SR Mitchell, ‘dominated’ the interpretation of Aboriginal culture in Victoria for over sixty years. They formed the centre of what Tom Griffiths named the ‘stone circle’. What might Kenyon and Spencer have made of Westlake? They most likely approved of his amateur rank. While Westlake considered Spencer to be professional he was not trained in anthropology and, like Kenyon, carried his amateur status as a ‘banner of distinction’. They probably applauded Westlake’s enthusiasm to get into the field. It was what distinguished and inspired their anthropological approach. But what did they make of his eolith thesis? ‘They think it ridiculous out here for Europeans to hesitate to recognise stones as human work merely because they are rough,’ Westlake happily reported to his children. ‘On the other hand,’ he added, ‘they don’t like the word Eolith for such stones, seeing that out here they were only made yesterday.’ It is an intriguing rebuke that points to a key difference between how the Australians and Westlake interpreted Aboriginal culture. While they agreed with Westlake that the Aboriginal people had no antiquity beyond a few hundred or, at most, a few thousand years earlier (‘yesterday’ in geological time) they did not agree that Australian stone tools, however ‘rough’, could be considered Eolithic. This was not because they were opposed to the existence of a pre-Palaeolithic epoch, but because they thought the entire question had no relevance to the study of Aboriginal culture; it did not belong ‘out here’. Spencer and Kenyon loosely accepted the comparative evolutionary framework as established by European scholars. They regarded Aborigines as Stone Age ‘survivals’. But they rejected as helpful the extensive questioning as to which particular phase of European culture Aboriginal people represented, and in fact Kenyon was resolutely dismissive of this approach. In his private correspondence he warned against the ‘evil of the European archeologist’ and denounced descriptions of Aboriginal stone tools as ‘Mousterian’ or ‘Azillian’ – typological phases named after European Palaeolithic site – as mere ‘piffle’. Kenyon held that ‘genuine, local insights’ were gained through ‘practical fieldwork and commonsense’. There were strong ‘nationalistic overtones’ to his opinions. Like Spencer and their circle, Kenyon’s opinions demonstrate a determined shift away from the old deferential system of colonial collector and metropolitan anthropolo- gist. Importantly, they were not interested in Aboriginal stone tools foremost as a way to illuminate European antquity, but rather for what they could explain about local culture and, even, local prehistory. In this respect Spencer’s circle contrasted with the Tasmanian collectors and students of Aboriginal culture of the time, who largely continued to defer to European experts and comparative classificatory systems to describe stone tools, if with a confident assurance in their own expertise. The ‘Problem of the Tasmanians’ was one of the most significant founding debates of Australian anthropology and archaeology, and a seemingly unanswerable question: if the Tasmanians were a separate race from the mainland Aborigines, how had they got to their island, and from where? In 1898, Australian geologist Alfred Howitt proposed the theory that Rhys Jones determined by 1965: people had reached Tasmania by foot before rising seas isolated them at the end of the Pleistocene by creating the Bass Strait. The possibility would give Australian Aboriginal people an antiquity of more than 12,000 years; far deeper than was widely accepted. Into the Heart of Tasmania by Rebe Taylor (MUP, $34.99), available now from mup.com.au and wherever books are sold. Kenyon was at first intrigued by Howitt’s theory. He had begun scouring Victoria’s coastline for implements to see if he could draw a typological connection with Tasmanian artefacts. Howitt wrote to Tylor in Oxford in 1899 that Kenyon had found Victorian implements that ‘completely parallel’ Tasmanian stone tools. By the time Westlake met Kenyon, he had been searching the Victorian coastline for a decade, and may have begun to doubt that a typological connection could prove antiquity. Most likely with Spencer’s influence, Kenyon ultimately rejected Howitt’s thesis as fanciful, and hardened his resolve that Aboriginal people had only a short history. Kenyon and Spencer may not have approved of Westlake’s Eolithic theory, but they did concur on the significance of the Tasmanian Aborigines. Trained in biology, Spencer was an evolutionist who held firmly to culture and biology as being progressive. He had been a student at Oxford and had assisted Tylor transfer Lieutenant-General Pitt-River’s ethnographic collection from London to Oxford and, in doing so, learned how to classify artefacts according to their cultural development. He agreed that the Tasmanians offered a unique and important example of early human development. He also impressed upon Westlake the significance of their history as a lesson to science. Westlake wrote to his children from Melbourne that Spencer had taught him that ‘the destruction of the Tasmanians was the most serious and irreparable loss that anthropology had ever sustained’. Significantly, the emphasis was on the loss to anthropology, less to the Tasmanian Aborigines themselves. 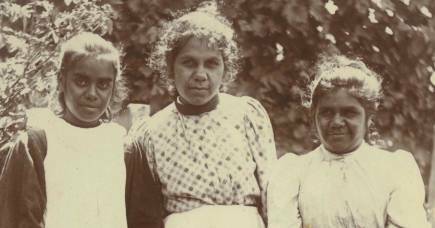 As Westlake continued in his letter to his children, the Tasmanian Aborigines’ ‘destruction’ was ‘our loss’. It occurred before they were studied. ‘The last page’ of that important ‘primitive world’ was therefore ‘closed unread’. The ethos of the nineteenth century collector was melancholic. But for Spencer in early 20th Century Australia the rationale of his anthropology was urgency. He took to the field with an impetus to capture Northern and Central Australian Aboriginal culture before it was lost. Spencer told Westlake that it was the exchange of insulator glass for tool making on the Overland Telegraph Line, on which Gillen worked as operator, that facilitated their communication with the Aranda people. This was apparently offered to Westlake as an example of the ‘rapid change’ that (somewhat paradoxically) threatened the opportunity to study a race ‘that represented early stages of evolution- ary development’. money is no use to the Black, you can’t pay him for your use of the desert. He may take the occasional piece of glass as a set off, but he belongs to those races so primitive that their ‘civilisation’ is impossible. Take away his desert, and his tribal customs and you leave nothing and he is soon dead. As I came out … from the Victoria Coffee Palace … the Town Hall was full of people singing ‘tell me the old old story of Jesus and his love’ – but … the words coming from such a quarter jarred on me. The only text I cared to hear expounded was ‘Hast thou killed and hast also taken possession!’ So I withdrew noticing by the way that the foundation stone of the Hall had been ‘laid by the Mayor William Cain Esq’ (stones sometimes speak the truth). Westlake wished that not only foundation stones would speak the truth. At 10.30 am on 12 November 1908, on the palatial SS Marama, Westlake passed by the northeastern coast of Tasmania in a ‘smooth sea and bright sunlight’. But he felt heavy of heart. He was ‘sorry’ to see Tasmania’s northern shores ‘as I knew I should be’, for there were no more Aborigines in Tasmania, thought Westlake, ‘only stones now’. How much would he be able to read from these remnants of culture he worried? ‘I shall do my best.’ It was this determination to find every remnant artefact, and memory of, and all information about, a culture presumably dead that ironically bequeathed a rich record of what had in fact survived. This is an edited extract from Into the Heart of Tasmania by Rebe Taylor (MUP, $34.99), available now from mup.com.au and wherever books are sold. What exactly are we buying to clean our hair, and is it worth it?